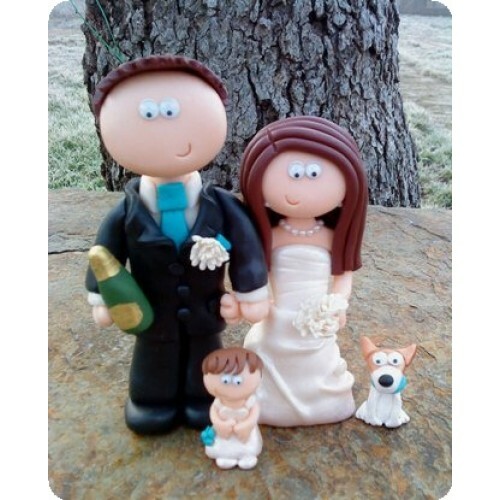 All photos are of past orders for previous customers, I make yours to look like you, if you see something here you want me to copy for you that is no problem either, just add a couple to your cart on the Shop page. 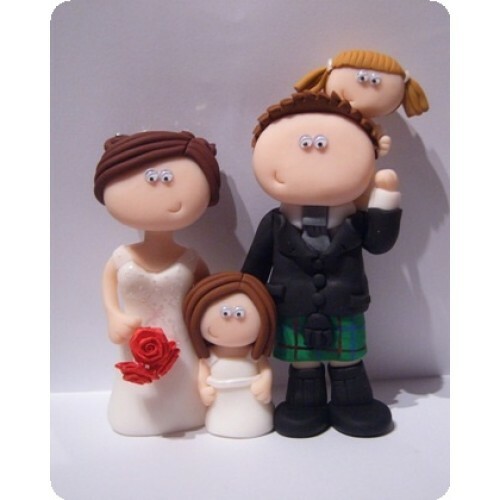 Children & Additional adults - You can add more people to your order via the Shop page, they can be in any pose/outfit you like & you can have 1 small prop per person if you wish. 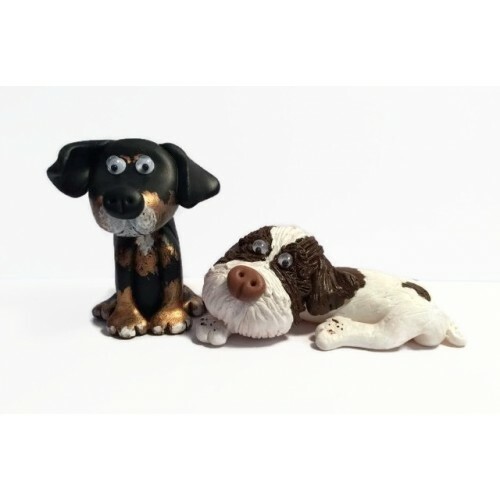 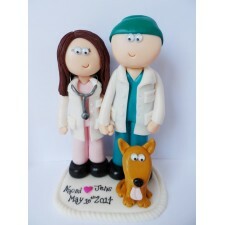 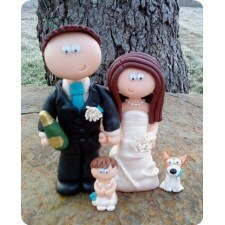 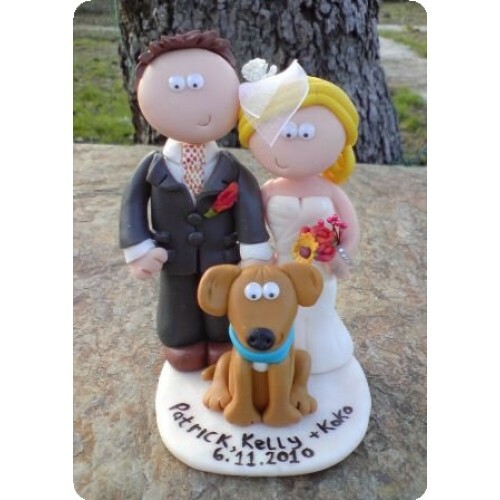 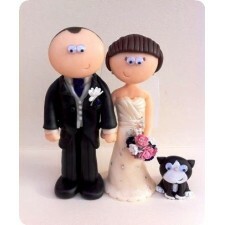 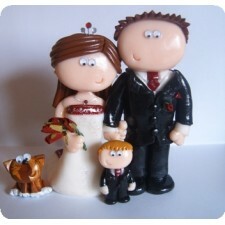 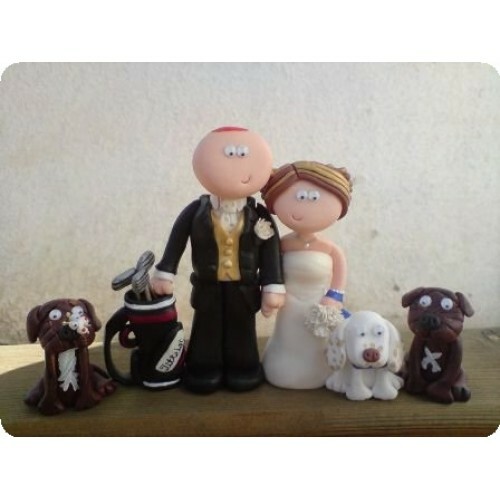 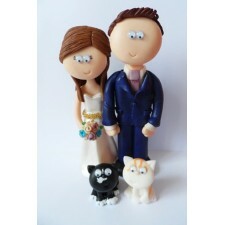 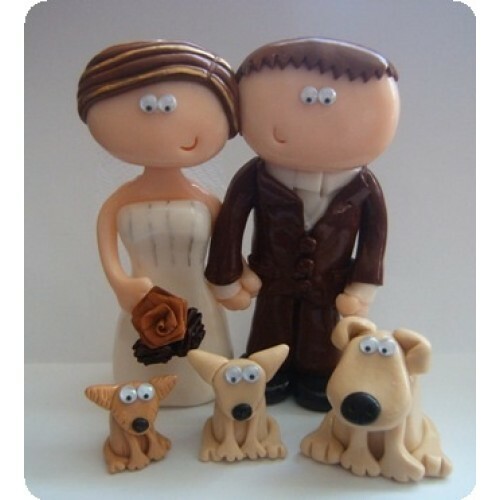 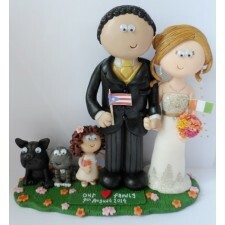 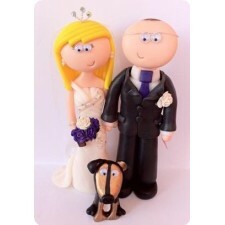 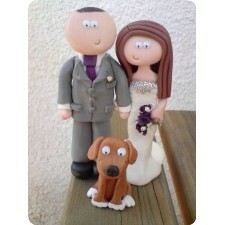 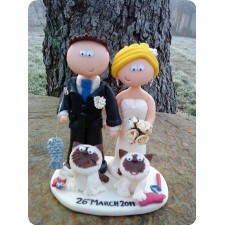 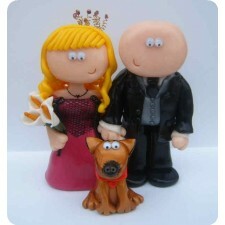 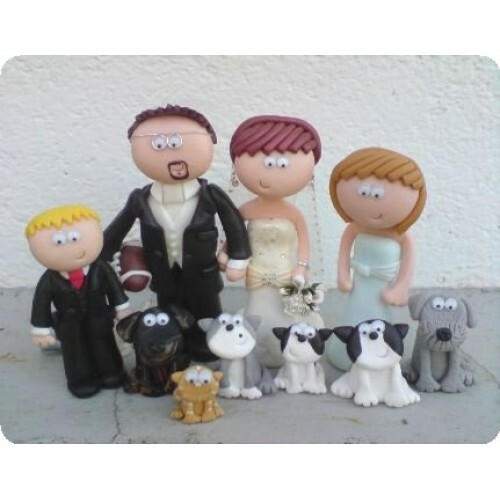 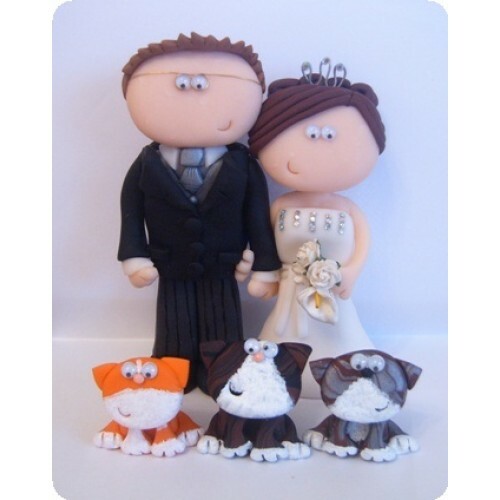 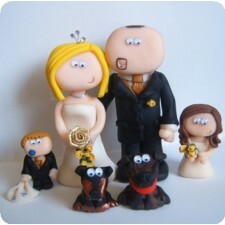 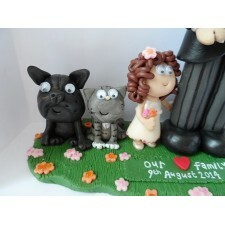 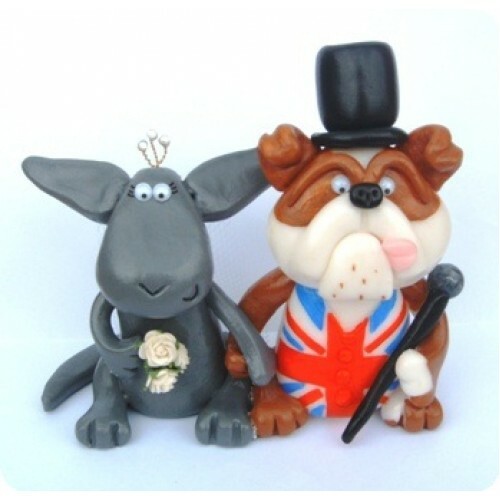 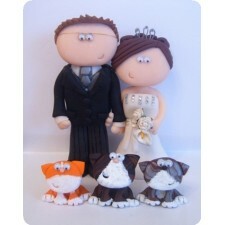 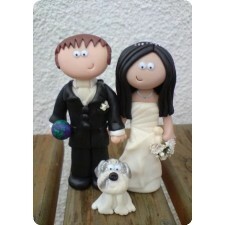 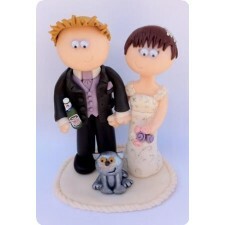 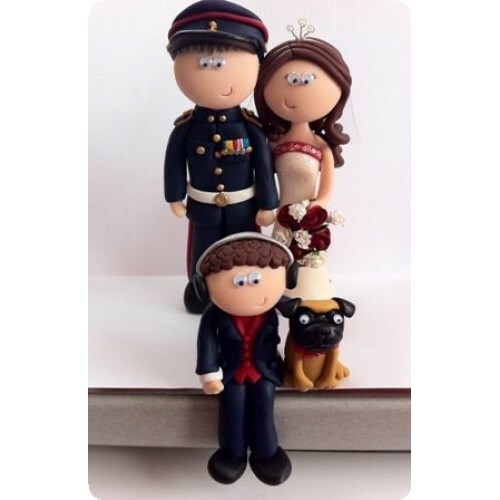 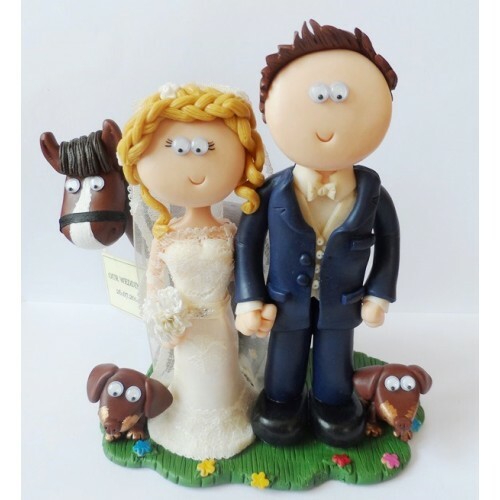 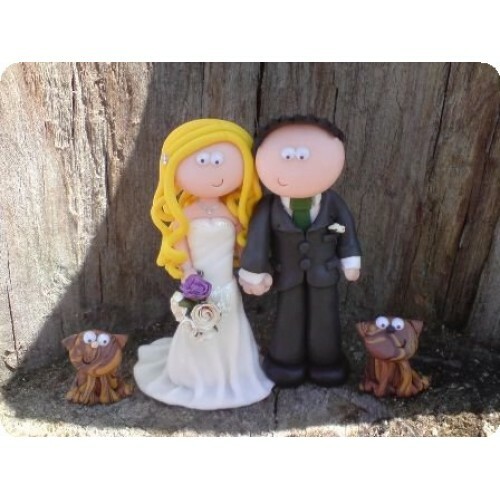 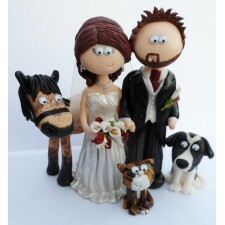 Pets – I can make any pet you like, you can add a pet to your order via the Shop page. 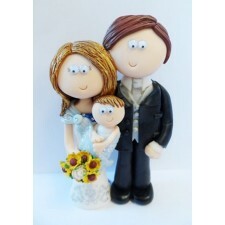 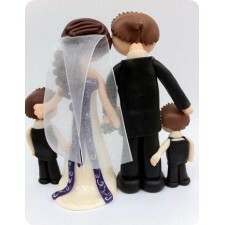 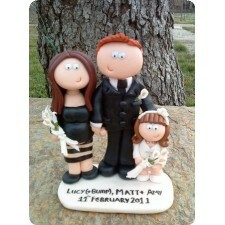 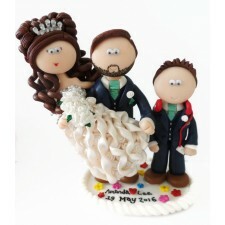 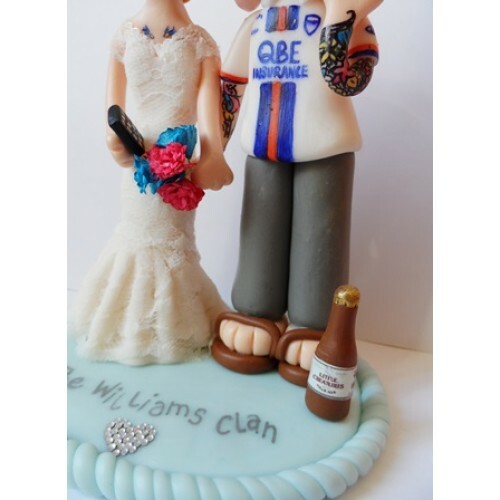 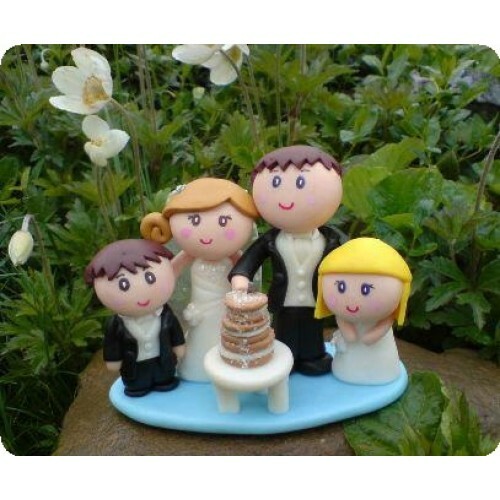 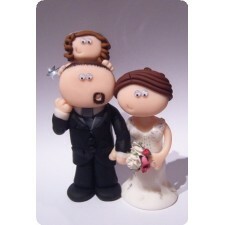 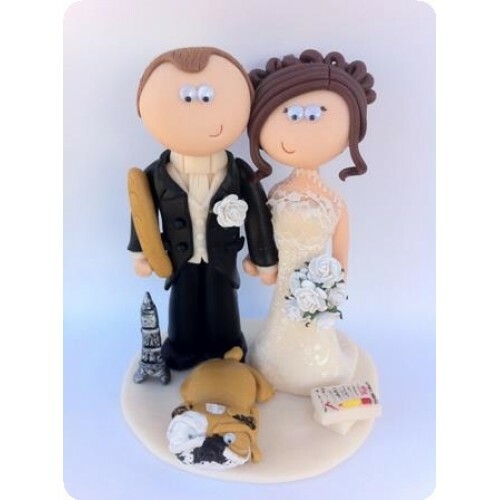 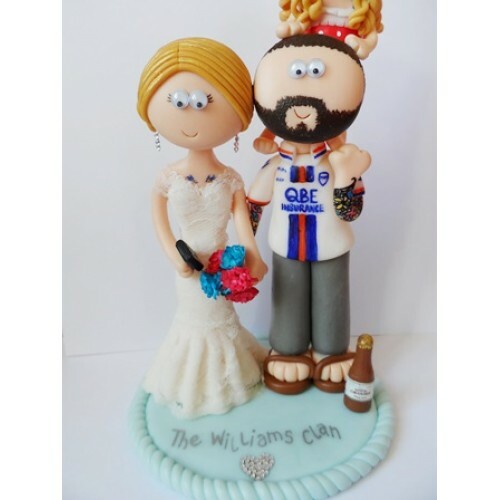 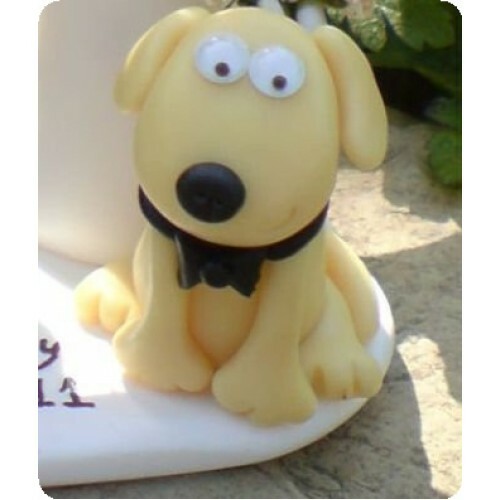 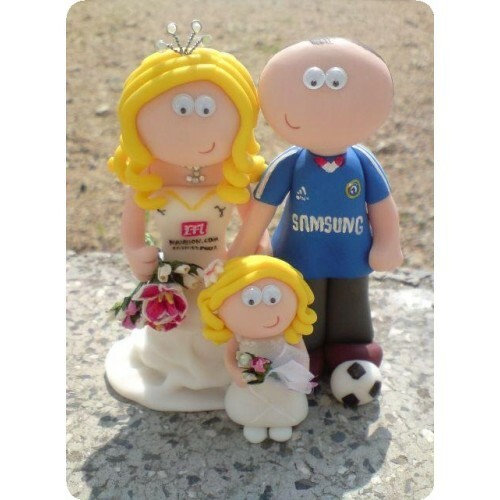 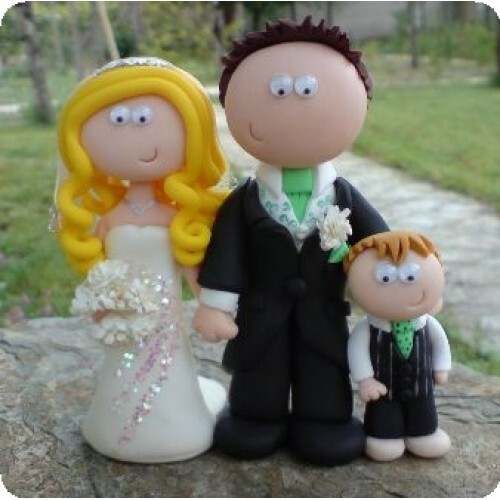 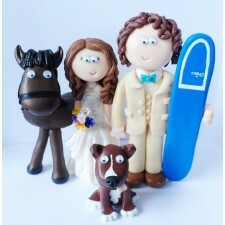 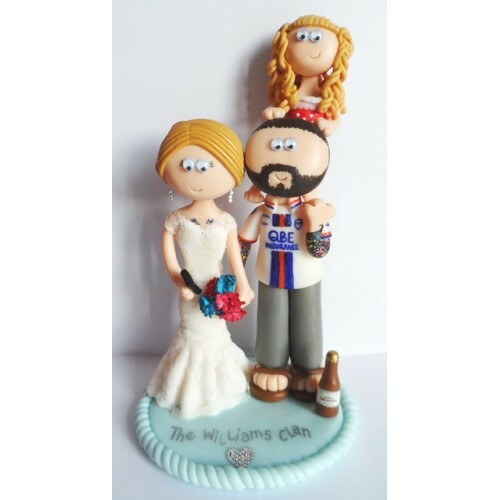 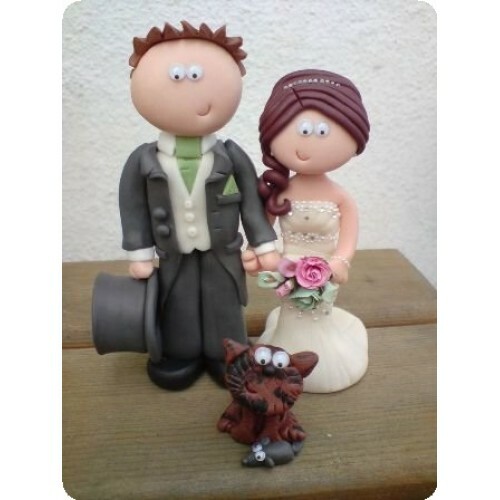 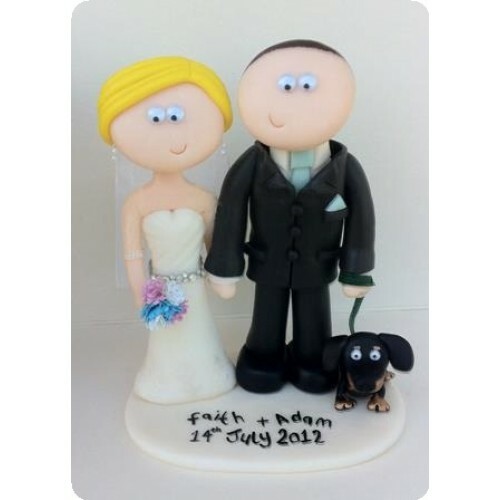 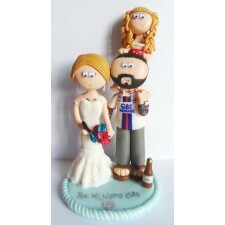 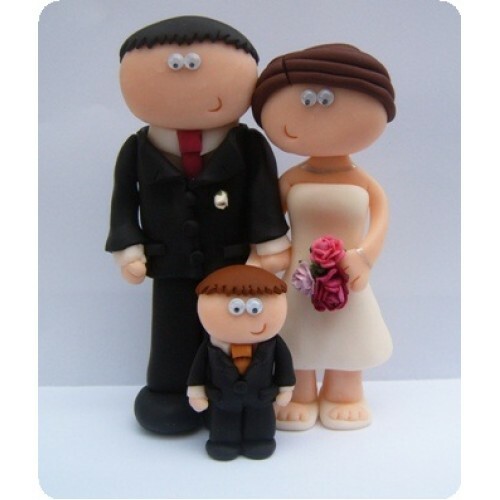 They don't need a base to stand up on your cake but if you would like one you can add a base to your order for £9.99 on the Shop page. 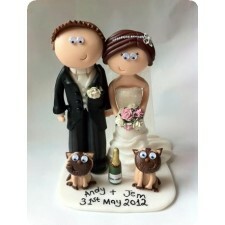 UK next day shipping is included in the price. Once I receive payment I will email you a form to complete and return along with any photos you want me to see. I ship worldwide; there is an additional £20 charge to cover courier costs to any country outside of the UK, this will be automatically added to your cart when you check out.